Django is a high-level Python Web framework that encourages rapid development and clean, pragmatic design which follows the model-view-template (MVT) architectural pattern. Built by experienced developers, it takes care of much of the hassle of Web development, so you can focus on writing your app without needing to reinvent the wheel. It’s free and open source. 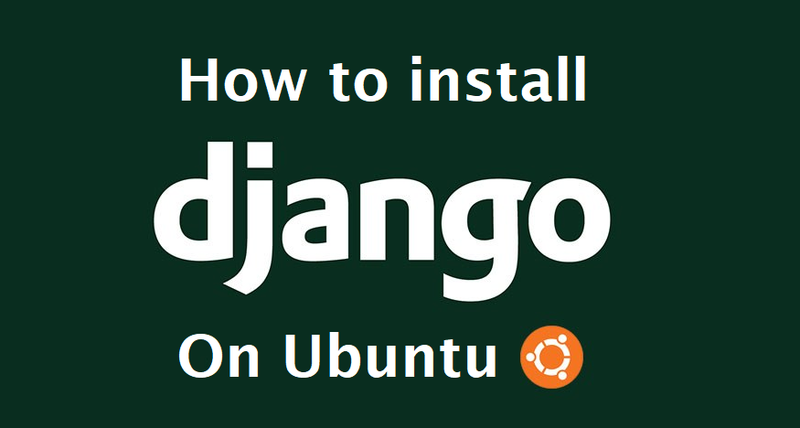 So today how I tell you How To Install Django on Ubuntu. It is maintained by the Django Software Foundation (DSF), an independent organization established as a 501(c)(3) non-profit. Django’s primary goal is to ease the creation of complex, database-driven websites. The framework emphasizes reusability and “pluggability” of components, less code, low coupling, rapid development, and the principle of don’t repeat yourself. Python is used throughout, even for settings files and data models. Django also provides an optional administrative create, read, update and delete interface that is generated dynamically through introspection and configured via admin models. Global install from packages: The official Ubuntu repositories contain Django packages that can be installed with the conventional apt package manager. This is simple, but not as flexible as some other methods. Also, the version contained in the repositories may lag behind the official versions available from the project. Install with pip in a virtual environment: You can create a self-contained environment for your projects using tools like venv and virtualenv. A virtual environment allows you to install Django in a project directory without affecting the larger system, along with other per-project customizations and packages. This is typically the most practical and recommended approach to working with Django. Development version install with git: If you wish to install the latest development version instead of the stable release, you can acquire the code from the Git repo. This is necessary to get the latest features/fixes and can be done within your virtual environment. Development versions do not have the same stability guarantees as more stable versions, however. We will be installing django in an isolated environment but why? simple because we do not want django packages to mess with os python libraries, we will be using pip to install packages and virtualenv to create virtual environments.pip is a package management system used to install and manage software packages written in Python.